Christianity is one of the world’s largest religious groups, with nearly 2.5 billion people following one of its five major denominations—Anglican, Eastern Orthodox, Oriental Orthodox, Protestant, and Roman Catholic. 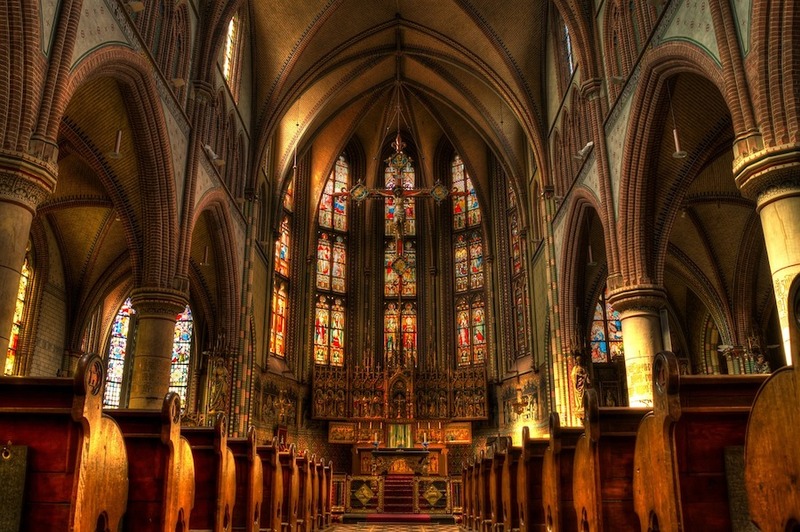 Roughly half of all worldwide Christians identify as Catholic, making it the largest of the Christian churches. That number continues to grow as worshippers share their faith and experiences with those across the globe and new members join local congregations. The Statistical Yearbook of the Church or Annuario Pontificio, released annually by Central Statistics Office of the Church, compiles data relating to the church’s demographics and trends, as well as contains a list of every diocese, Roman Curia office, and papal university in the world. Catholicism encompasses a rich history spanning several centuries whose prominence has influenced the development of Western civilization. Its philosophies and teachings counsel members in the meaning of faith, how to live, and how to worship. This guide will help those who are just beginning to explore their Catholic faith become more familiar with its beliefs and practices. 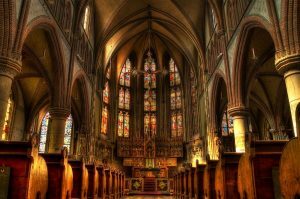 How did the church form? Catholics believe it was the will of Christ to found a Church to teach, sanctify, and govern in his name. Jesus’s creation of the Twelve was the first clear sign of the Catholic Church’s origin. After this, we see the another clear sign of the Catholic Church’s origin when Jesus chooses Peter to be the rock of the Church’s foundation and handed him the keys to the church which starts apostolic succession. The Catholic Church’s origin is firmly rooted in Scripture and history. Where can you find its teachings? Catholic teaching is deeply rooted in the Bible. Although written by man, the Bible’s words were inspired by God and are His words. Catholic followers rely on The Church to interpret and understand the wisdom bestowed within the Bible. The Catechism of the Catholic Church is a tool created to help bishops teach the faith because the Bible consists of several volumes of scripture. It summarizes all of Catholic doctrine contained within the Bible, so the information is more easily accessible. Joining a catholic bible study group is also a great resource to learn more about Catholicism. Sacraments are rituals and rites that strengthen your bond with God. Each one was instituted by Jesus and instills the recipient with God’s Grace. Sacraments are visual representations of God’s invisible work on the soul. There are seven of these sacred rituals; each marks an important touchstone in a Catholic’s life. It removes the stain of Original and personal sin. It absolves us of the corporeal and eternal punishment that resulted from that sin. It infuses us with the life of God, called sanctifying grace. We become a part of Christ. Through it, we become part of the Church representing the Mystical Body of Christ. It allows you to participate in other Sacraments and to increase your grace. Confirmation is one of the three sacraments that constitutes the “sacraments of Christian initiation”. It strengthens your faith and commitment to God and the Church by conferring special graces. It perfects your Baptism and deepens your bond to Christ. The Sacrament of Confirmation is usually received as a teenager but can be received at any time so long as you’ve received Grace. During Confirmation, you publicly declare your intention to freely adhere to the church’s teachings and practices. This is signified by a priest using consecrated oil to draw a crucifix upon the participant’s forehead. The words “Be sealed with the Gift of the Holy Spirit” are spoken by the priest during the action. Holy Communion is also one of the three sacraments that constitutes the “sacraments of Christian initiation”. It’s an intimate connection of receiving the body and blood of Christ. “For in the blessed Eucharist is contained the whole spiritual good of the Church, namely Christ himself.” CCC 1324. In order to receive communion, you must be in a state of grace and have abstained from food and drink for at least an hour prior. If you are aware that you committed a sin, then you must participate in Confession beforehand. Communion relieves recipients of physical passions, sanctifies your own body, and helps you grow closer to the likeness of Christ. It increases your love for God and, as your soul becomes more united with His, your actions change, making you more like Him. The Sacrament of Confession is sometimes called the Sacrament of Reconciliation or Sacrament of Penance; indeed, the actions of this sacrament represent the interconnectedness of the ideas of forgiveness, penance, and connecting with God. The strength and abundance of God’s grace allow us to resist committing sins. Committing sins erodes our grace, making it increasingly easier to sin more. The only way to have grace restored is by acknowledging one’s sins, and then making amends. Only then can God absolve us of them and reconcile us with Himself. In order to receive this sacrament, you must be sorry for your sins, confess them fully in kind and number, and be willing to make amends and penance, including the resolve not to commit those sins again. The Sacrament of the Anointing of the Sick was once known as Extreme Unction or Last Rites and was only administered to those who were dying. Today it’s given “to anyone of the faithful [who] begins to be in danger of death from sickness or old age.” It’s meant to restore the spiritual health of the recipient and prepare him or her to meet God with hope instead of fear. Marriage is the union of two people but, as a sacrament, marriage also represents a union between the Bridegroom and His Church, the Bride, and Christ. The grace imparted upon the couple helps them increase their holiness. The Sacrament of Marriage is administered by Man and Wife themselves by the vows they make to each other which form a covenant, an unbreakable promise. The wedding and Mass aren’t the sacraments; rather, the marriage itself is. The Sacrament of Holy Orders allows a man to continue the work of Jesus Christ and His Apostles by passing His authority to those who are worthy. 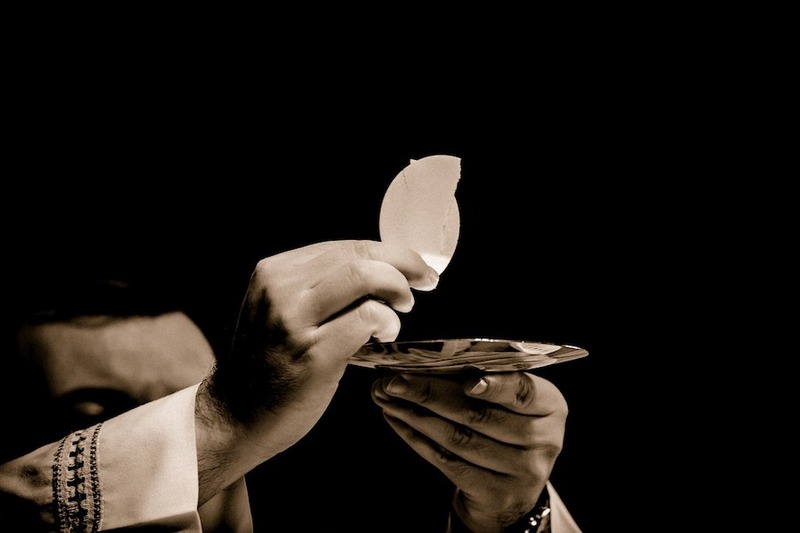 Those receiving this sacrament are able to administer sacraments to others, though a bishop is the only member who can perform the Sacrament of Holy Orders. Three levels of ordination exist: deacons, priests, and bishops. Priests receive the ability to act in the person of Christ and hold Mass. Bishops are given the strength to lead a Congregation and die as Christ did. Deacons receive the ability to preach. What is the true power of the Pope? The official title of the Pope is the Bishop of Rome; he is the head of the Catholic Church. He maintains diplomatic relations and defines the Church’s official position on various issues. He also appoints new bishops and acts as a missionary. While he has the gift of infallibility when it comes to church teaching, he is not sinless and not every word that comes out of his mouth is infallible. He is only infallible when teaching Ex Cathedra, or from the Chair of Peter and only when it pertains to faith and morals. This is a very rare occurrence. It’s an act of unity with Christ. A non-Catholic participating in such an act would be disingenuous. Additionally, as St. Paul explains in 1 Corinthians 11:27-29, those receiving Communion without being in a state of grace is akin to ingesting damnation.